Prime Minister Narendra Modi paid a visit to the Jaguar Land Rover (JLR) plant, a subsidiary of India's Tata Motors at Solihull here on Saturday. 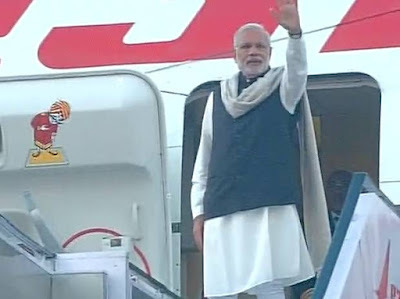 Prime Minister Modi was accompanied by Tata Group chairman Cyrus Mistry along with other officials. 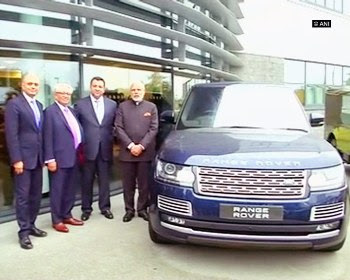 The Prime Minister was shown around the plant by senior managers of the JLR plant. Tatas had acquired JLR in 2008, when the company was in loss, and turned it into a profitable subsidiary. Yesterday, Prime Minister Modi had arrived at the Buckingham Palace to meet Queen Elizabeth II in a Jaguar on the second day of his visit to the UK. He will leave for Turkey to attend the G20 summit a short while from now. Country’s 'Startups Capital' Bangalore city which has the distinction of World’s 2nd fastest growing Startup city is now hosting another unique startup which is eyeing the fast expanding online healthcare solutions products. Gva which is popularly called Jeeva developed by Ringabell Health Pvt Ltd started its operations in the city on Saturday, November 14, 2015. Presently company is offering baby products, cosmetics n general needs. Medicines will be made available online from January 2016. Both App and Website which were launched now are operational from January 1, 2016. This Startup founded by three young professionals and is based out of Bangalore and is a technology driven total healthcare solutions company. It is all set to offer its services throughout the PAN India soon. Young minds: Ringabell Health Pvt Ltd is the brain child of three young professionals. 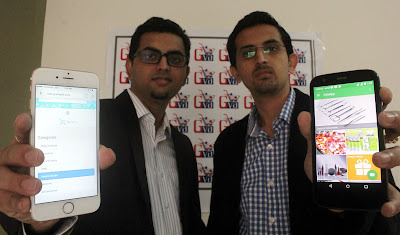 Anoop Srikantaswamy is serving the company as cofounder and CEO while Ashwyn Srikantaswamy as the co founder n COO. Ramakrishna S is the another Co founder n CBO. How it works: Gva is an online market place. It serves the users/customers by connecting them to medical shops and retailers. Customers will have four main interfaces including Website, Mobile app, Call centre n WhatsApp to place their orders. Baby products, medicines, cosmetics, home medical devices n surgical equipment’s, wellness n medical books will be available at the first step. According to the company CEO Anoop Srikantaswamy what makes the Gva stand different from other players is that the competitors are just trying to woo customers by discounts n drive valuations. “But at Gva we are actually bringing in best practices across the industry and around the world to create world class convenience experience in care chain and make customer delighted,” he said. PAN India operations: Anoop Srikantaswamy informed that they are intending to raise $2 million by first quarter 2016 to realise our PAN India ambitions. “We have a working model which is proven, water tight fool proof. Safety is atmost priority. We will have zero tolerance to safety in the entire care chain,” he explains. “When it comes to online market place our direct competitors are Ziggy.com, Net meds n Medidart, however we have a broader vision and ambition in the healthcare space which gives us an edge over our competitors. We have planned to launch features in the coming months with which I am convinced that we will be ahead of our competitors,” he added. India and United Kingdom signed commercial agreements worth over 3.2 billion pounds in renewable energy sector as the two countries struck deals to fast -track investments in clean energy sector and stressed the need to foster innovation and research to make clean energy more affordable. Prime Minister Narendra Modi and his British counterpart David Cameron also emphasised the need of climate finance and of developed countries honouring their commitment to mobilise jointly 100 billion dollar by 2020 from a wide variety of sources, both public and private, in the context of meaningful mitigation actions and transparency on implementation, said a statement from MEA. Both leaders also committed themselves in tackling climate change. They stressed that it is one of the greatest global challenges of the century having adverse impacts at the national and international levels. 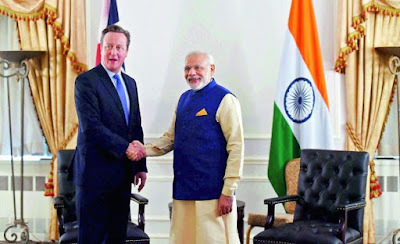 Modi, on his first day of visit, and Cameron pledged to work together for an ambitious and comprehensive agreement under the UNFCCC at the Paris Climate Conference in December 2015 that would be applicable to all. The two Prime Ministers also welcomed a joint package of 10 million pounds for new joint renewable research centres bringing the total value of Indo-UK clean energy research programme to 60 million pounds. 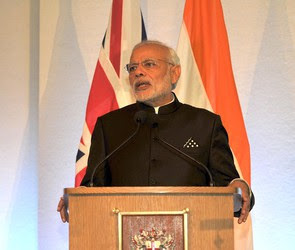 Modi highlighted the need for large scale, low cost, long term finance to deliver India’s renewable energy ambitions, and noted the potential role that the city of London could play in leveraging international capital towards this end. Cameron announced the UK Climate Investment venture with the Green Investment Bank, which will invest up to a total of 200 million pounds of UK climate finance in renewable energy and energy efficiency projects in India and Africa. The two Prime Ministers reaffirmed their commitment to taking action at the domestic level. Cameron underlined the UK’s commitment to reducing its greenhouse gas emissions by at least 80 per cent by 2050, as set out in the 2008 Climate Change Act, meeting its carbon budgets in the most cost-effective manner. Modi highlighted India’s commitment to reduce its emissions intensity by 33 35 per cent by 2030 compared to 2005 levels and put in place 40 per cent cumulative electric power installed capacity from non-fossil fuel based energy resources by 2030 through nationally determined development measures and priorities. The two Prime Ministers in particular welcomed Lightsource’s plans to invest 2 billion pounds in India, building over 3 GW of solar electricity infrastructure including through a partnership with SREI Infrastructure Finance Limited. Who would have thought that tech giants Microsoft, Adobe or Yahoo would have security bugs in their websites? It took two teenagers from India to point out bugs that could potentially have led to a hacking attack and caused financial loss to these behemoths. For their amazing intrusion detection abilities, Shikhil Sharma and Ananda Krishna, then 19, received a cheque for US$1000 from Yahoo, spurring them to burn the midnight oil and create an Intrusion Detection Software, Astra, while pursuing a 4-year residential program at NIIT University’s sprawling campus in the Aravali ranges, 90 kilometres from Delhi. The duo launched a startup Czar Securities www.czarsecurities.com to sell their product. Astra secures websites of Small and Medium Enterprises (SMEs) and e-commerce portals from attacks by sneaky hackers who have the devious ability to override standard security software on websites. What started as a hobby for Shikhil Sharma and Ananda Krishna, who are both 21 now, was strengthened by technology grounding as part of their BTech Computer Science program at NIIT University (NU). Now in their final year of studies at NU, Shikhil and Ananda value the amazing support they got from their alma mater--a dedicated development area and mentoring by faculty and industry mentors. “NU’s committed and well-networked faculty and industry counsellor helped us create a product that is used by dozens of paying SME users. We’ll further enhance Astra by leveraging advanced intelligent algorithms, machine learning concepts and web intelligence,” says Shikhil. 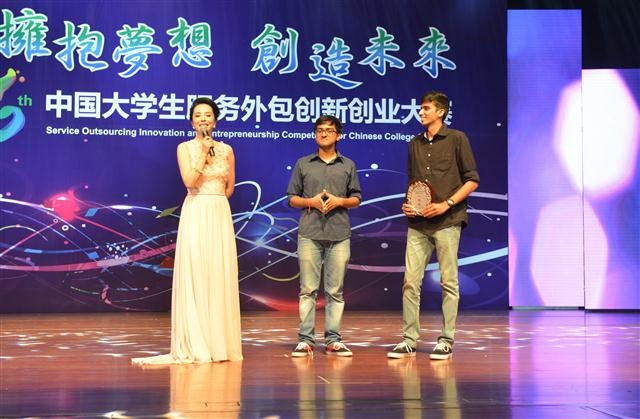 The crowning glory for Shikhil and Ananda was winning the Top Technology Innovation award at “6th All China University Software Innovation & Entrepreneurship Competition, hosted at Wuxi, China” where students from over 300 universities from Asia demonstrated their Tech Innovations. “After several rounds of evaluation with diverse industry judges over three months we were confident of winning the award when the organisers decided to underwrite our entire trip to China to make a presentation to a packed auditorium of over 2000,”says Shikhil adding that a handsome cash award was an icing on the cake for their fledgling start-up, Czar Securities. Ananda Krishna’s scores at Delhi Public School RK Puram and continuing excellent academic performance at NU have earned him a scholarship for the entire duration of the program. 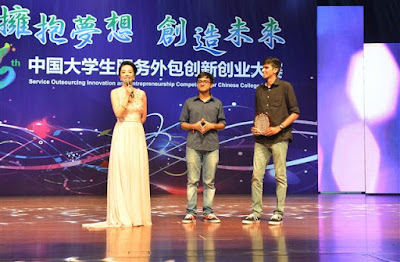 When questioned if they considered themselves as geniuses, Shikhil and Ananda look embarrassed before Shikhil says that two of their batch-mates were selected to the prestigious ‘Google Summer of Code’, and five of them presented research papers in Singapore and China. A similar number went on to pick up Inter University Sports medals in Football, Snooker and Cricket. “Well, we are unique because we are the only ones to launch a start-up while studying at NU,” adds Ananda who is part of the 4th batch of the University that offers BTech programs in Computer Science & Engineering, Electronics & Communication Engineering, and Biotechnology. The duo acknowledges the insights they got from their mentor Dr Kamlesh Bajaj who served as CEO of Data Security Council of India supported by NASSCOM and NU’s academic leaders and founders. Telecom network operator Vodafone has committed investments of Rs 13,000 crore or £1.3 billion for enhancing capacity and new business initiatives in India. 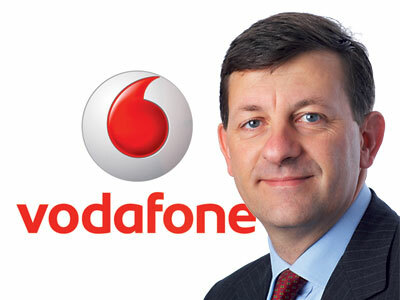 This significant investment of $1.4 billion was committed to by Vodafone Group CEO Vittorio Colao in his meeting with the India Prime Minister Narendra Modi in London earlier. Since starting operations in India in 2007, Vodafone has already invested over Rs 111,000 crore and contributed over Rs 100,000 crore to the exchequer and is the largest FDI investor in India. Vodafone India has 188 million subscribers. Out of this, it has 100 million mobile users in India’s rural markets. Vodafone’s India business is the largest data traffic market by volume and the third largest contributor to Vodafone Group’s service revenues. “As the co-creator of the telecom ecosystem, a catalyst of the telecom revolution in India and being committed for the long term, we are ideally poised to partner the Government of India in fulfilling these important initiatives such as Digital India and Make in India,” Colao said. Vodafone will be investing Rs 8,000 crore or £800 million to enhance, upgrade and expand network coverage as part of Digital India program. In addition, Vodafone will be making an investment of Rs 4,000 crore or £400 million towards Make in India program. The telecom network operator will also spending Rs 3,000 crore or £300 million to increase capacity and upgrade its technology centre and IT and customer experience centers in Pune and Ahmedabad. These centres service Vodafone companies globally. Vodafone will invest Rs 1,000 crore or £100 million for setting up Tier-4 data center addressing the communications needs of businesses and enterprises. Rs 1000 crore or £100 million will be invested towards the payment bank for which Vodafone M-Pesa Ltd. has received an in-principle license from RBI. Vodafone will increase its staffing levels to 15,000 employees over the next two years. Seeking to strengthen Indo-UK economic ties, Prime Minister Narendra Modi today left for Britain to begin his first visit to the country during which he will have a hectic schedule that will start with talks with his British counterpart David Cameron. "Leaving for UK. I am hopeful this visit will strengthen economic ties between India and UK & bring more investment to India. #makeinindia," he tweeted before starting his three-day visit. After arriving in London this afternoon, he will have talks with Cameron at 10 Downing Street. He will address a joint press conference at the Foreign and Commonwealth Office (FCO) after the bilateral talks. On Friday, Modi returns London for a CEOs round-table which is likely to include representatives from major British companies like Rolls-Royce and Vodafone. India and Britain could announce deals worth 8-12 billion pounds ($12-$18 billion) during the visit, according to diplomats, with Modi keen to buy 20 more BAE Systems Hawk trainer aircraft to be made in Bengaluru. The pomp and ceremony attached to the visit is expected to include a special tricolour flypast by the Red Arrows Royal Air Force (RAF) Aerobatic Teamover Buckingham Palace before the Prime Minister sits down for lunch with Queen Elizabeth II on Friday afternoon before making his way to Wembley Stadium in north London for the mega Diaspora reception. 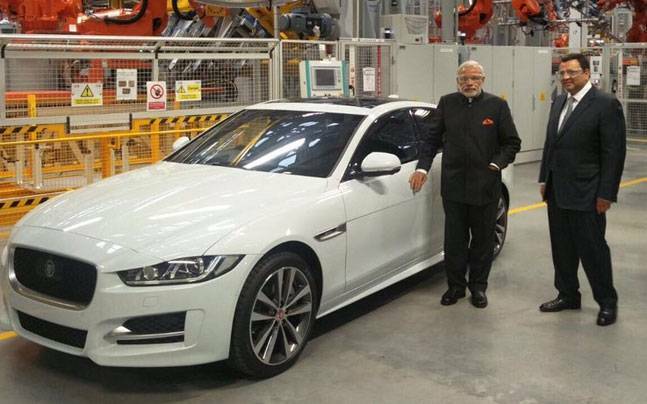 A visit to the Tata Motors' owned Jaguar Land Rover (JLR) factory in Solihull, in the West Midlands region of England, will be the last item on his UK agenda. "My visit to UK is the first Prime Ministerial visit in almost a decade. I have had the opportunity to meet Prime Minister David Cameron at various international forums and our meetings have been productive. Prime Minister Cameron is a good friend of India's, and we in India have had the privilege of welcoming him thrice during his first term as Prime Minister," Modi had written in a Facebook post ahead of the visit. Yet Modi’s popularity is being challenged at home, after the BJP lost an election badly in Bihar, home to 104 million people. Three party elders, including former deputy prime minister LK Advani, released a statement late on Tuesday questioning the direction of the BJP, which risks embarrassing Modi just ahead of his visit. British Prime Minister David Cameron is seeking to revamp economic ties with fast-growing Asian nations, including India, as part of his push on business-focused diplomacy. Modi’s trip marks a remarkable turnaround for a man who was banned from Britain for 10 years over his alleged role as chief minister of Gujarat in riots that killed about 1,000 people in 2002. Several groups were planning demonstrations outside Wembley Stadium during the rally and near Cameron’s Downing Street office to coincide with Modi’s visit there. About 45 British lawmakers, including opposition leader Jeremy Corbyn, recently signed a parliamentary motion to debate India’s human rights record. 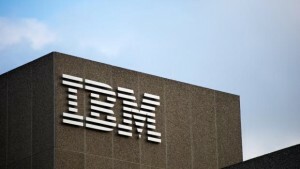 Information technology majors IBM and HCL have announced a strategic partnership to jointly build hybrid cloud solutions to help enterprises drive the digital transformations. HCL will use Bluemix IBMs cloud platform to build applications and solutions in Unified Service Management and Internet of Things (IoT). The Unified Service Management offering will help clients manage the most complex service delivery environments, the company said in a statement. 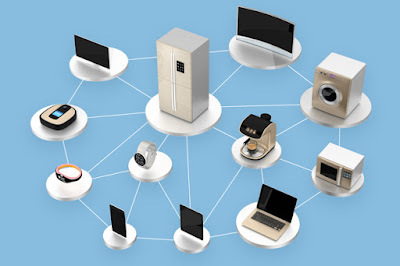 The IoT solutions will enable clients to collect and excha nge data from a network of physical objects embedded with electronics, software, sensors, and connectivity. HCL will also use IBM Clouds Infrastructure as a Service (IaaS), SoftLayer to offer cloud-based solutions to its clients. The 21st century enterprises are looking for highly flexible and scalable IT/technology solutions that enable them to compete amidst changing market dynamics and customer expectations. IBMs cloud offerings are based on open platforms and provide enterprise grade security and reliability that are essential for our clients, said Sai Kalyan Kumar, Senior Vice-President and Chief Technologist. Enterprise IT vendor Dell launched entry-level servers under the Dell PowerEdge 13th generation server series for small and midsize businesses (SMBs). IT decision makers say the top IT challenges for SMBs include performance, hardware capacity and IT complexity. 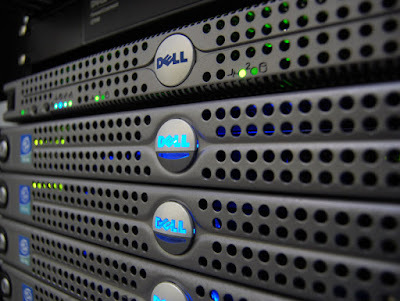 “Dell’s mainstream server portfolio is growing, and their new entry-level PowerEdge servers will be appealing to additional SMBs who are hoping to save time and money while reducing business risk,” said Jed Scaramella, research director, Enterprise Servers, IDC. The new Dell PowerEdge servers include PowerEdge R330 and R230 rack servers and PowerEdge T330 and T130 tower servers. 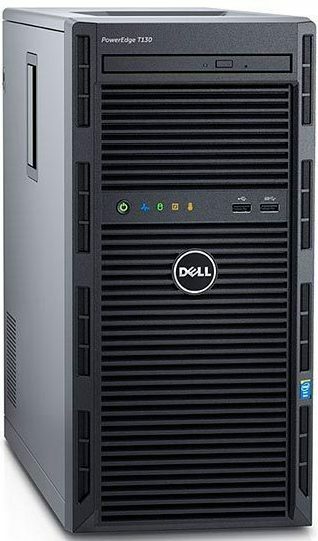 Dell PowerEdge R330 targets small businesses, remote offices of large institutions, while Dell PowerEdge R230 server targets SMBs, OEMs and hosting companies. “More than 125 million SOHO and SMB customers operate in challenging environments – with most not having the luxury of a dedicated IT department. These customers require IT solutions that help them prepare for future growth, drive application performance and improve operational efficiency,” said Ashley Gorakhpurwalla, vice president and general manager, Dell Server Solutions. Dell’s entry-level server T130 features Dell’s OpenManage systems management portfolio. The main benefit is that SMBs can reduce deployment time by up to 40 percent. The new servers will accelerate compute performance across a range of applications with a choice of Intel Xeon E3-1200 v5 processors. SMBs can ensure faster response times with DDR4 delivering 33 percent faster memory performance compared to DDR3 memory. SMBs can achieve two times the IOPS (input/output operations per second) performance with Dell’s PERC9 RAID controller. Gebr. Heinemann, a distributor and retailer for the international travel retail market, serves more than 30 million customers. 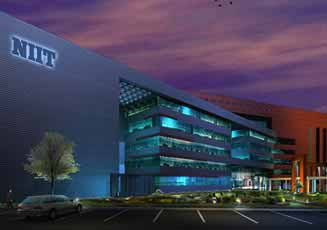 It will be deploying the PowerEdge R330 servers as the base of its NAS solution into our branch offices. The entry-level PowerEdge servers feature up to four DDR4 memory slots and up to four or eight hard drives depending on the model. PowerEdge R330 provides up to 56 percent more internal storage capacity than the previous generation server. Dell PowerEdge R230 server has 100 percent more memory capacity, three times the maximum internal storage capacity and two times the I/O expansion compared to the previous generation server. The company said Dell PowerEdge T130 provides two times the memory capacity compared to the previous generation server. Microsoft CEO Satya Nadella announced plans to offer cloud services from the UK. 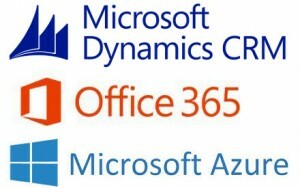 Microsoft Azure and Office 365 will be available from local UK-based data centers in late 2016 with Microsoft Dynamics CRM Online following shortly thereafter. Microsoft also announced completion of the latest phase of expansion for its data center facilities in Ireland and the Netherlands. The new local Microsoft cloud regions will enable data residency for customers in the UK, allowing data to be replicated within the UK for backup and recovery, reduced network distance and lower latency. Services delivered from these UK data centers will create new opportunities for innovation and local economic growth for Microsoft UK’s 25,000-plus partners. Availability of Microsoft Azure and Office 365 is anticipated in late 2016, with Dynamics CRM Online following shortly thereafter. Microsoft will also offer Azure ExpressRoute to provide customers with the option of a private connection to the cloud. With a cloud adoption rate of 84 percent, the UK is a global leader in embracing the benefits of cloud-based solutions. UK customers such as Confused.com, Glasgow City Council, Marks & Spencer, Natural Resources Wales, Pizza Hut Restaurants and Virgin Atlantic already use Microsoft cloud solutions like Azure, Office 365 or Dynamics CRM Online. Some customers have already expressed desire to embrace Microsoft’s future trusted cloud services to be delivered from the UK. Microsoft announced the completion of the most recent expansion of its Ireland site and that its data center facility in Middenmeer, the Netherlands, is now operational. Both locations serve as hubs for Microsoft cloud services, including Microsoft Azure, Office 365 and Dynamics CRM Online, and will provide additional capacity for customers across Europe, the Middle East and Africa. Microsoft has invested more than $15 billion in building a cloud infrastructure and cloud services. The US-based software firm has 24 Azure regions around the world — more than any other major cloud provider to expand its cloud infrastructure. 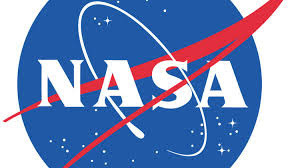 Although no Indian could win the top prizes, five of the top 10 entries listed as the most popular contestants at the ‘Create the Future Design Contest 2015,’ organised by the publishers of NASA Tech Briefs magazine, were from India. 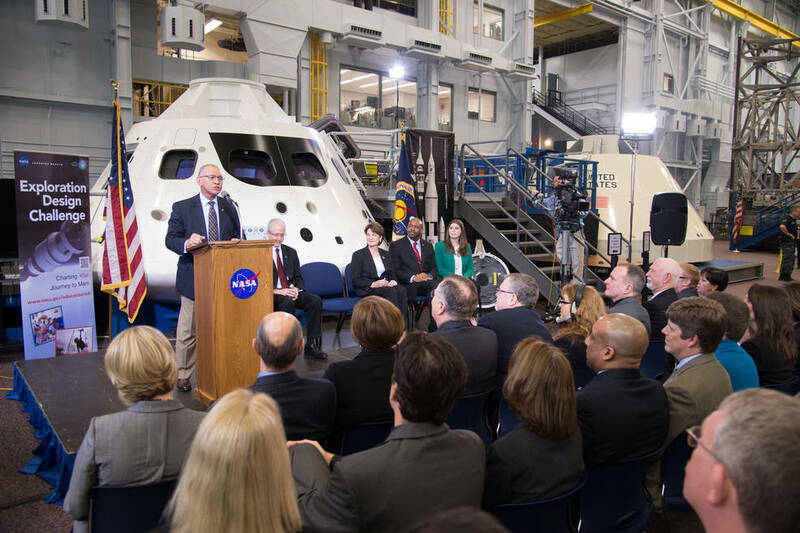 NASA Tech Briefs design contest is organised every year to ‘stimulate and reward engineering innovation’. While Puncture-Proof/Burst-Proof Tyre designed by Sameer Panda from Sambalpur, Orissa, was listed the most popular innovation, Areeb Yaqoob and Keshav Gupta from New Delhi were honoured for their CAP Exoskeleton design and Sukeerth Calastawad, Suhas V, Phaneesh M and Swaraj S from Maharaja Institute of Technology, Mysore, for their Self Chargeable Battery Electric Vehicle (BEV). Others on the most popular list include the designs by Seshagiri Ramachandran, Vinod Vivian G, Vinod K R, and Anne Miriam Alexander from Chennai for their Bullet Proof Vest Using Non-Newtonian Fluid and Himanshu Vyas of Indore for his Anti-Collision Technology for Automobiles. Sameer Panda’s puncture and burst-proof tyre is a Multi-chambered Tubeless tyre with sealant inside the chambers to take care of puncture and also act as a coolant which increases the life of the tyre and decreases the risk of bursts due to overheating. Unlike conventional exoskeletons with expensive motion sensors and hydraulics, Yakoob and Gupta have designed a simple, inexpensive exoskeleton which is easy to manufacture and maintain and will allow the person using it to walk, squat and carry loads up to 55 kilograms ‘over considerable distances without reducing wearer’s agility’. The researchers from Maharaja Institute of Technology, Mysore, have attempted to fabricate a self-charging battery electric vehicle which utilizes the rotational energy of wheels to charge the batteries, which makes the vehicle pollution free and without any external charging source. The innovators from Chennai say that Non-Newtonian fluids (like corn flour + water mix, PEG + Silica mix) will absorb all the impact of a bullet more effectively than the heavy 14 kg metal-based vests used by security personnel. The young innovators are working on prototypes of a light-weight bullet-proof vest which will provide full protection against high calibre weapons. Saying that fast moving cars could be demons on the streets, Himashu Vyas proposes an anti-collision technology based on extended range proximity sensors and infrared (heat) sensors around automobiles to make driving safer. 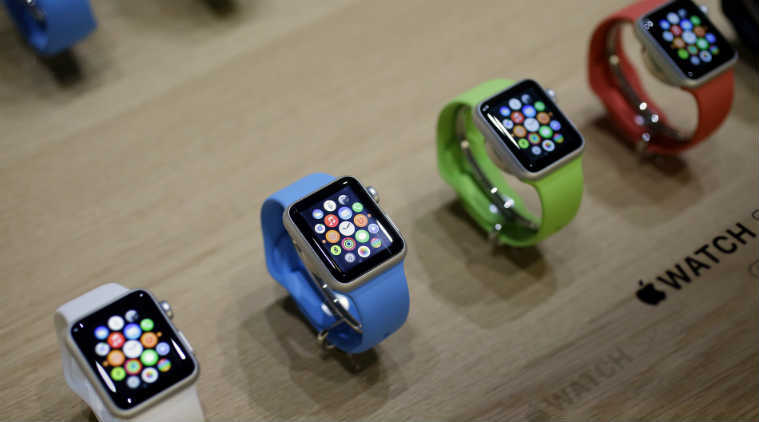 Apple Watch will be finally available in India on November 6, according to the official Apple India website. While Apple is yet to declare the price, it is expected to come at a starting price of Rs 36,999. In April, cross border e-commerce player Grabmore.in started taking pre-orders of the Apple Watch from Indian customers at a starting price of Rs 36,999. Grabmore.in usually gets the right price information of Apple products before they are launched. So, we can expect the Apple Watch Sport to be priced around Rs 36,999 for the base model. But don’t be surprised if Apple pushed the price a bit lower to grab the fledgling wearables market in the country. It was launched in the US at a starting price of $349 which directly translates to about Rs 22,600. The government is likely to announce major reforms across 15 sectors, including construction, defence, retail and plantation with an aim to ease foreign direct investment in the country. The move comes at a time when Prime Minister Narendra Modi is scheduled to visit the UK and Turkey, where he is slated to attend meeting of G-20 leaders. Reforms push is also seen as an indication by the government that NDA's loss in Bihar Assembly election will not hamper its plans to take the country forward. Allaying fears that Bihar results would slow down its economic agenda, the government is keen to push through the FDI reforms as it wants to give the Opposition a clear message that the government is committed on its development agenda. PM Modi had come under heavy criticism from the Opposition which claimed that he deviated from NDA's promised agenda of development and reforms during Bihar election campaigning. Meanwhile, in another major development, the inter-ministerial body FIPB approved eight foreign investment proposals, including those of India Advantage Fund and L&T Finance Holdings, totaling Rs 5,200 crore. The Foreign Investment Proposal Board (FIPB), headed by Economic Affairs Secretary Shaktikanta Das, also rejected five proposals and deferred decision on four. Proposal of India Advantage Fund, an AIF managed by ICICI Venture Fund, entails an investment worth Rs 2,950 crore, said Finance Ministry sources. 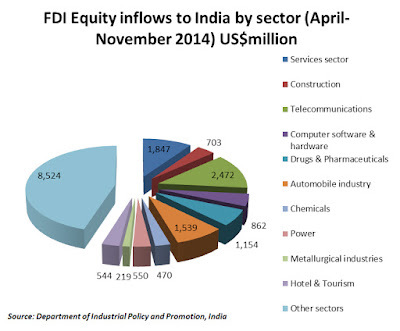 Proposal of LnT Finance Holdings involves FDI inflow of Rs 700 crore. 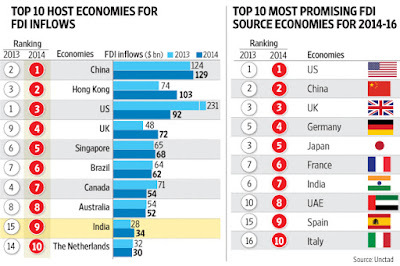 In defence, the government has allowed foreign investment up to 49 per cent under the automatic route, earlier under the government approval route. 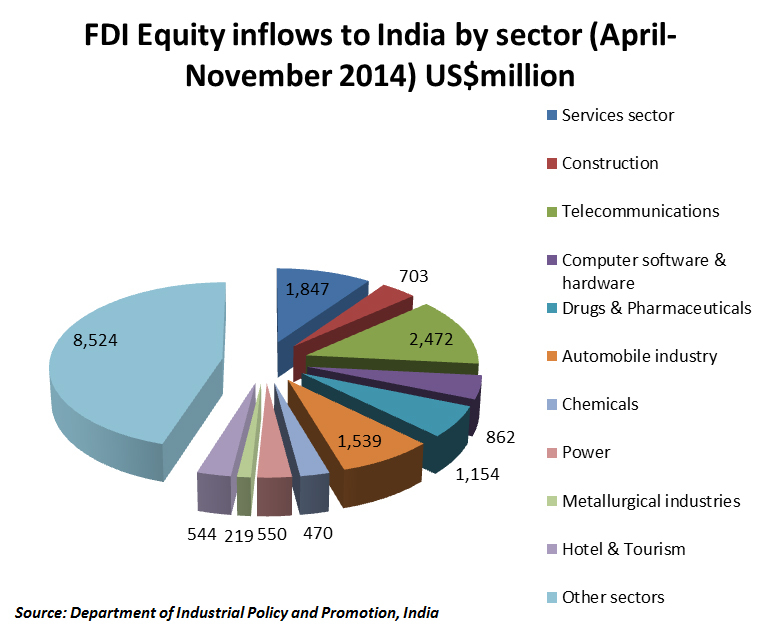 Investments over 49 per cent will now be cleared by the FIPB instead of the Cabinet Committee on Security. 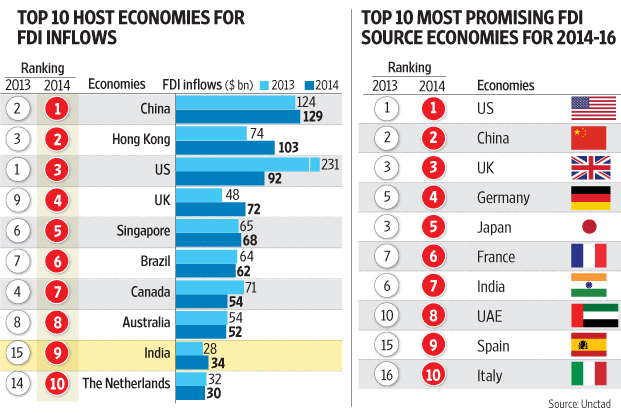 Portfolio investors and foreign venture capital firms can also invest up to 49 per cent as against 24 per cent earlier. 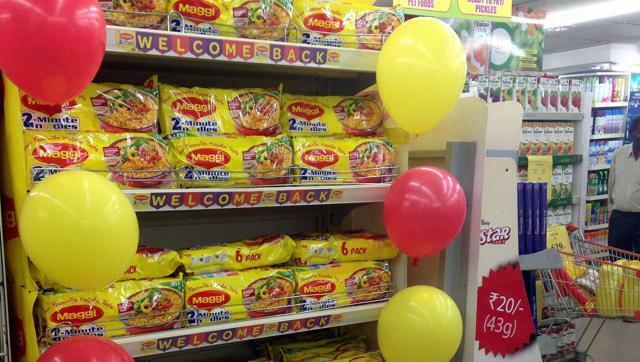 Maggi was back on the shelves on Monday five months after the popular instant noodles were banned in the country for higher than permissible levels of lead in one of the biggest crises to hit Nestle. The Swiss food giant’s best-seller in India, Maggi noodles returned in the same bright yellow packaging and at a price of Rs 12 for a single pack as was before June 5 when the country’s food regulator ordered their recall for unsafe levels of lead and failing to mention monosodium glutamate, or MSG, a chemical flavour enhancer. 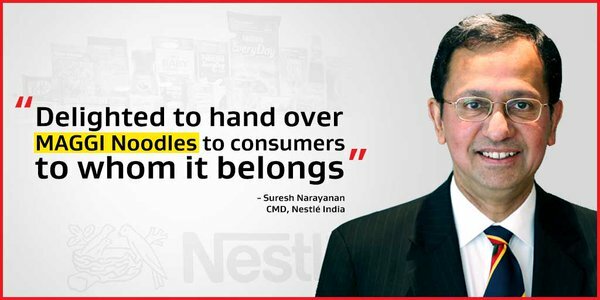 “The return of Maggi Noodles on the auspicious eve of Deepawali and on the day of Dhanteras is a moment of celebration for all of us,” said Nestle India chairman and managing director Suresh Nayaranan. It will be few months before the popular snack will be available across the country, as the ‘masala’ version has been relaunched in 100 cities towns, including Delhi. All samples of Maggi Noodles Masala were cleared by three food-testing labs as mandated by the Bombay high court, Nestle India said. The tests were ordered by the court as it overturned the ban, calling it “arbitrary”. “The rollout has begun today. 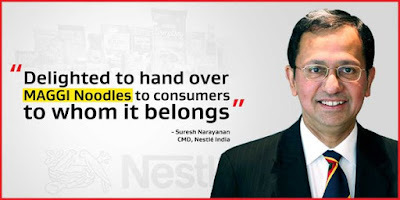 It has been a challenging period for the Nestle Organisation, and therefore, there is a feeling of satisfaction at bringing back Maggi noodles,” Nestle India said in a regulatory filing. The company took a hit of Rs 450 crore and was forced to destroy more than 30,000 tonnes of the quick-cooking noodles. 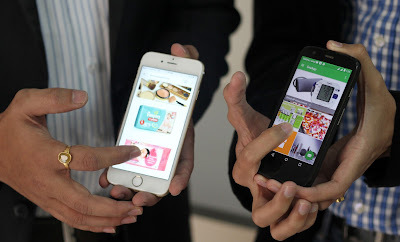 “It’s just a few hours of launch, but the response of consumer is overwhelming,” said Narayanan. The noodles will not be available in Bihar, Himachal Pradesh, Orissa, Nagaland, Mizoram, Tripura, Punjab and Uttrakhand, as local governments are yet to lift the ban after the Uttar Pradesh government ordered a recall in May, triggering a chain reaction across the country. Nestle has also entered into an exclusive arrangement with Snapdeal, an ecommerce platform, to sell Maggi from November 12 though “registration” began on Monday. Maggie is presently available on Snapdeal in carton. A carton contains 100 packets. Nestle India still faces Rs 640 crore class action suit filed by the government for allegedly misleading the public and indulging in unfair trade practices. PayPal, the global leader in online payments, today announced the launch of ‘Recharge’, a unique six-week program to empower women technologists to return to work after a personal career break. The program is designed to increase diversity in technology, while also giving individuals who want to return to work an opportunity to expand their experience and network. Today in India, close to 50% of women drop-out of work before they reach mid-career, many of which are for personal reasons or to start a family. Studies have found that about 90% of them do want to return to work after a break, but on top of societal expectations, many are unsure of where to start and worry about whether they’ve fallen behind the industry in their time away from work. This is especially so in the fast-paced, dynamic technology industry, where the gender ratios fall far behind other sectors in the country. PayPal’s Recharge program is designed to put some of these concerns to rest, and help women technologists in India jumpstart their return to the workplace with the confidence and skills that will make them trailblazers in the industry. Recharge will be rolled out in three phases, beginning with a half-day launch in Chennai on November 19, 2015. 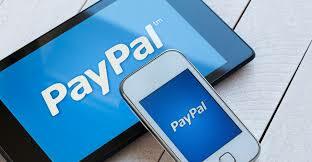 Up to 100 women will have a chance to network with leaders from PayPal and the industry. They will also learn about the key first steps of getting back into the workforce, from updating their resumes to interviewing effectively for jobs. After the launch, PayPal will interview these technologists and shortlist 30 of them for a three-week technology boot camp at the PayPal India’s Technology Center in Chennai from December 1 to 18, 2015. The boot camp will include technology and business-oriented training to help the participants get up to speed with the latest in the industry. This includes introductions to mobile app development and Node.js, as well as mentorship sessions with PayPal leaders in the center. Recharge is open to women who have taken a personal career break for a period of 1-3 years, with at least 5 years of work experience in product development and analytics, with backgrounds in Java, J2EE, PEGA, scrum master, test automation, release engineering, risk analytics or operations. Interested applicants can submit their resumes to recharge@paypal.com . 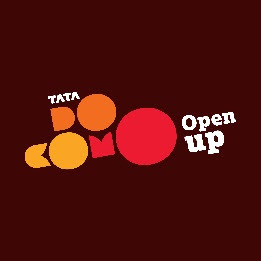 Tata Docomo, the unified telecom brand of Tata Teleservices Ltd. (TTL), underscored digital disruption as the key to enable the Indian businesses with next generation connectivity, at its annual multi-city industry confluence ‘Do Big Symposium’. With more than 250 participants, consisting of CEOs, industry experts, entrepreneurs and CIOs, Tata Docomo led the discussion around the technologies powering digital disruption - Internet of Things, Location Based Services, M2M solutions, Mobile Device Management and many more. 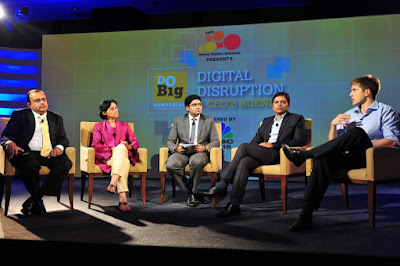 Industry stalwarts like Vinita Bali - Former MD, Britannia; Greg Moran - Co-Founder & CEO, Zoomcar; Dr Rathan Kelkar, CEO of Excellence of eGovernance Center of Government of Karnataka; Ashvin Vellody - Partner - Digital Advisory, KPMG and several others came together to highlight the increasing momentum of business transformation through digital technology. 3. Internet of Things (IoT): IoT is a major revenue generator for businesses across various industry sectors, as it increases operational performance directly. IoT can be applied to many aspects of business services such as device detecting presence, self-diagnosing through a smart device, sensors that capture data, real time meter reading, end-to-end solutions and location based services. The key point of discussion at the event was of technology being an enabler between the business and consumer, thereby leading to business transformation. Realizing the impact that technology has on the consumer, businesses, with the help of technology, can rethink business models, by positioning the consumer as the most important aspect. Another theme discussed at the event was the vision of the Digital India initiative being using technology-driven business transformation for advancement of rural and urban India. After Bengaluru, the multi-city symposium, will move onto Pune, Kolkata, Delhi, Mumbai, Chennai and Hyderabad respectively, over the period of next three months.